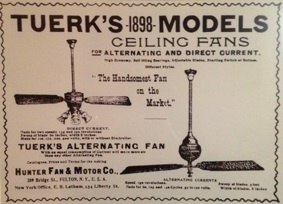 Here at Texas Ceiling Fans we love history. 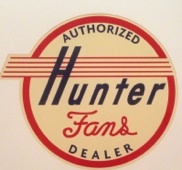 Over the last 42 years we've been in business, we have collected an impressive array of antique signs and other insteresting marketing items related to ceiling fans, and specifically Hunter and Casablanca fans. We have included a gallery of some of the items so you can check out some of these cool vintage signs and advertisements, but nothing beats the real thing, so come down to the store if you're interested and check it out in person. As Mr. Andrews and his son Jake are accomplished musicians, we also have an incredible selection of vintage music memorabilia and vintage music equipment on display around our store. After all, this is Austin, the live music capital of the world! Check back here if you're interested, as we will be adding many more photos of our memorabilia collection on an ongoing basis.